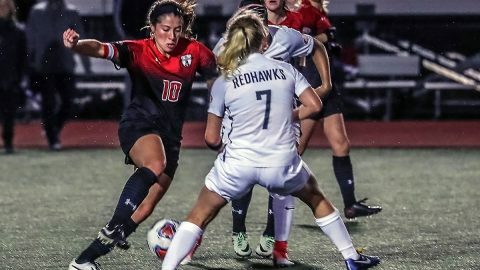 Nashville, TN – With wind swirling on the pitch and clouds threatening to pour rain on the second first-round match of the 2017 Ohio Valley Conference Soccer Tournament, Austin Peay State University women’s soccer team fell in an aggressive match against Southeast Missouri Friday night. The Governors came out strong playing with the wind at their backs and controlling possession through the midfield. Austin Peay set up with five players in the midfield allowing them to press higher offensively creating turn overs in their deep in SEMO’s defensive half. Senior forward Kirstin Robertson had several good looks at goal in the first half, one in particular where she controlled a cross inside the 18-yard box, using a nifty touch to get around a defender and letting the ball drop to her right foot. The shot sailed just above the bar, relieving the Governors pressure for a moment. Austin Peay continued to dominate possession, but were unable to draw first blood on a chilly night at E.S. Rose Park. 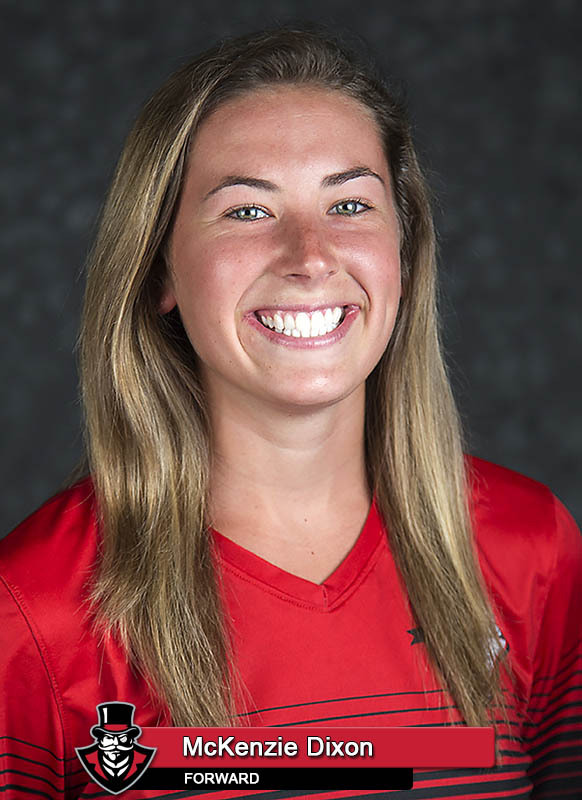 Southeast Missouri opened the scoring in the 30th minute when a shot off a set piece was partially cleared by the Governors back line before Redhawks defender Maddi Karstens slipped the rebound into the lower left corner. Just as Austin Peay was looking to get back into a rhythm, a turnover in midfield led to a counterattack by Southeast Missouri. Sophomore midfielder Esmie Gonzales picked up a through ball from Jennifer Brien and clinically placed the ball in the left corner. Coming out of the halftime break the Governors took command of the match offensively, earning six corner kicks and firing 12 shots, which forced Redhawks senior keeper Kindra Lierz to make three diving saves. The Govs had their chances in the second-half, with junior McKenzie Dixon firing a hard shot wide of the Redhawk goal. 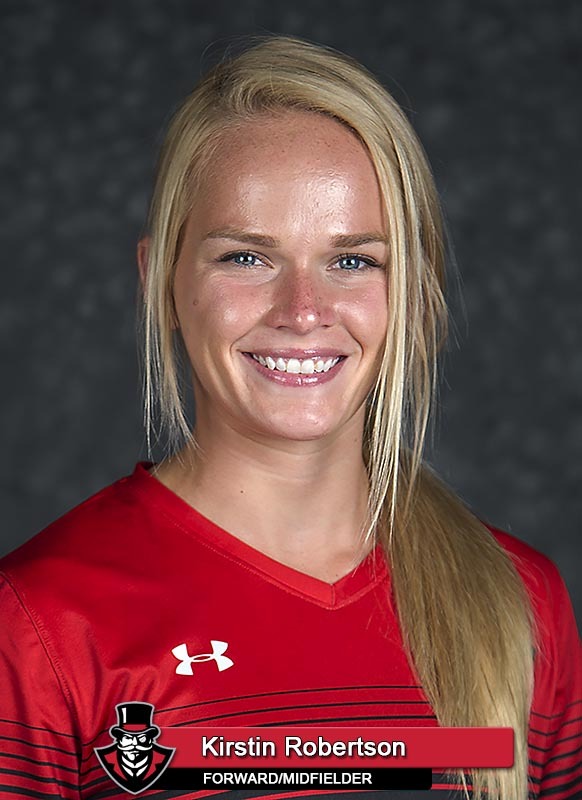 Dixon also settled a cross in the center of the 18-yard box and dropped a pass off to freshman Claire Larose who sent a shot just wide of the right post. Late in the second-half, Austin Peay committed numbers forward looking to find the back of the net when Dixon was taken down inside the box. The referee awarded a penalty, which the veteran slotted cleanly past the keeper in the 82nd minute to pull the Govs within one goal. The Governors searched for the equalizer, but were unable to break down the Redhawks defense before time expired.